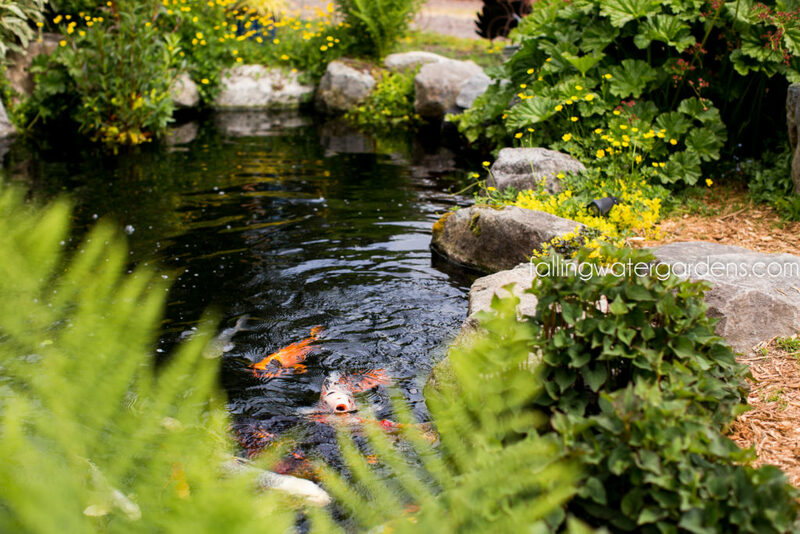 Spring is here and it’s time to start thinking about preparing the pond for warmer weather. The maintenance you do right now will make a big difference in the way your pond looks in May and June. Remove leaves and debris from ponds. The winter months have most likely blown quite a bit of it into the water. Inspect your pond. Take a careful look. Make sure there has been no winter damage to the pond or any of the components. Repair or replace as necessary. Start your pump. If your pump has been off for the winter, spring is the time to start it back up. Most people do this when the water temperature increases to around 50 degrees. Begin testing your pond water. Ammonia and nitrite levels are extremely important to inspect. Both of these should be zero. Perform partial water changes if either test gives a reading other than zero. Warm weather means your fish will soon be ready to start eating again. Until the water temperature is consistently above 50 degrees, continue to refrain from feeding the fish. Once the water temperature is into the 50°F’s you will want to feed a food designed for spring and fall. As the water temperature reaches into the 60°F’s it will be time to feed your regular summertime fish food. Fertilize hardy aquatic plants. When the water temp reaches 50°F, it is time to get hardy plants that survived the winter ready for a great year ahead. Also, for maximum performance, it may be necessary to divide some of these plants. If the plants are too crowded in their pots, they will suffer and their growth and flowering potential limited. By taking these relatively simple steps you can insure your ponds health well through the year! Check out these videos for Pond Cleaning 101, How-To Plant a Floating Island, and How-To Prepare an Aquatic Planter. For more information on this topic, visit these blog entries: Algae Remedies and Pond Care for the Spring.